The very thought of concentrating to self-hypnotize yourself while you feel a maddening urge to scratch yourself might seem not only impracticable but also ridiculous. But then self-hypnosis does work wonders in treating allergy. In fact, it is a safer way than antihistamines and other medications to take care of your nagging allergy issues since the latter can prompt various side effects like dry mouth, drowsiness and stomach upsets. And for those who need more reasons to choose self-hypnosis for treating allergies, read on! 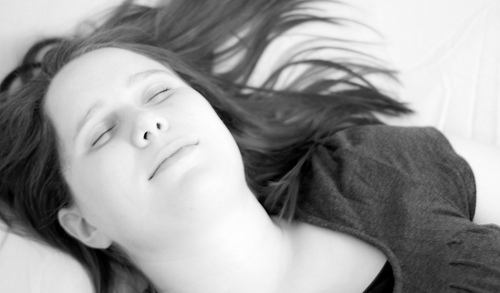 Why consider Self-Hypnosis over other options? Basically, allergies are your brain’s reactions to allergens. Allergens are the particles (such as pet hair, pollens) that your body considers to be ‘foreign’ and harmful. To defend your immune system against the potentially harmful effects of the allergens, your body produces a number of compounds like leukotrienes, histamine and prostaglandin. Together, they can trigger the indications that we associate with allergies, including sore throat, itchy eyes, itchy skin, runny nose, sneezing and the like. Self-hypnosis helps to ‘input’ new information into the subconscious mind. Therefore, you can actually ‘train’ your brain to create a different reaction to the allergens. As a result, the allergy goes away…sometimes immediately after the hypnotherapy session. Moreover, self-hypnosis also helps in stress relief . Stress, as you know, often triggers a bout of allergy. The feasibility of self hypnosis to treat allergies is yet to be established scientifically. However, as per a few scientific findings, self hypnosis can successfully treat certain types of allergies. The results of a Swiss study, for example show that self-hypnosis can be used to treat hay fever. Here’s how you can practise self-hypnosis for allergy relief. Choose a positive image that focuses on relieving the symptoms of your allergy. For example, if you have a sore throat, then imagine a cup of warm tea that soothes it. Take 3 deep breaths – inhale through your nose and exhale through your mouth. Next, start back-counting from 10. As you back-count, at each step, pause for a moment and tell yourself that you are becoming more relaxed and more peaceful. In this way, try to direct yourself to an unconscious state of mind . Once you have achieved that, you will be entering a trance-like state. Repeat the suggestions to yourself as many times as you require. To come out of the trance-like state, count up from one to five. Get up feeling relaxed, refreshed and relieved, at least to large extent, of your symptoms of allergy. However, as experts mention, self-hypnosis for allergy treatment works best for non-food allergies and allergies related to sensitivities. In case of severe allergic attacks, it is ideal that you stick to the medications and follow your doctor’s advice. Previous Post Hypno-Surgery – Tap Into Your Mind And Eliminate Pain Without Facing The Risks Of Anesthesia Next Post 5 Step Self-Hypnosis To Make You The “Best Me” You Can Be!